Lavandula 'Hidcote' is commonly referred to as English Lavender and is noted for its silvery grey leaves and rich violet-blue flowers. It's richly aromatic and and the fragrance is so enticing, fruit growers often use this variety to attract pollinating bees to their fruit trees. For continual blooming be sure to trim back after first flush of blooms. 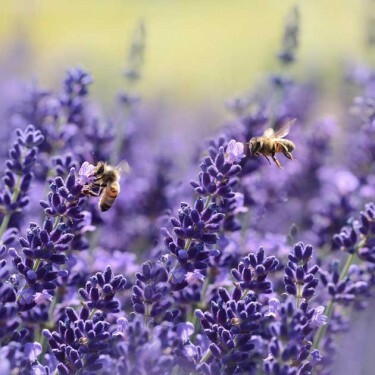 Lavender is lovely for indoor arrangements: try it fresh or dried in home-made sachets & herb baskets. 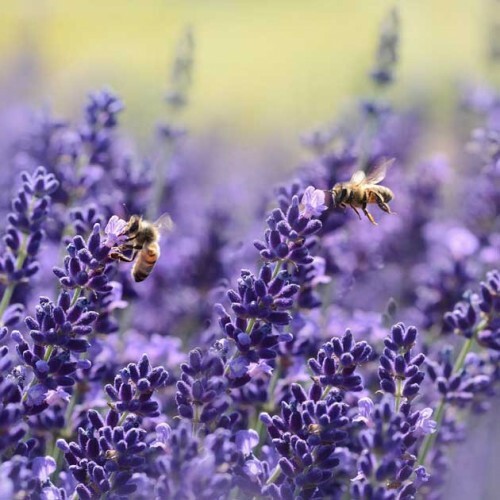 Lavenders were used by ancient Greeks and Romans in their famous baths, and the name derives from "lavare," the Latin word for "wash." Drought-tolerant, easily grown and maintained, this plant deserves the adoration it receives worldwide.